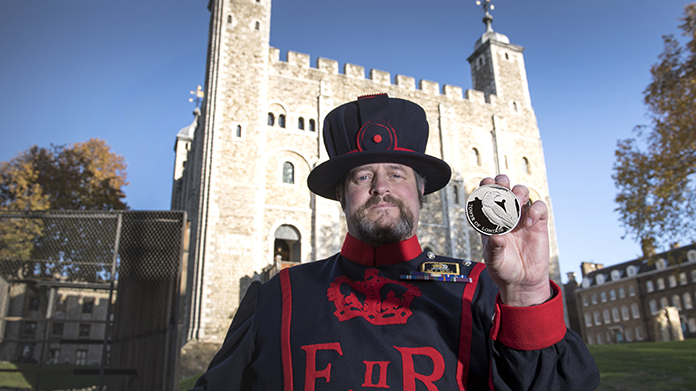 This time, the team was focusing on the launch of the first coin from The Tower of London collection, The Legend of the Ravens. The Ravens of the Tower are one of the most distinctive images that visitors take away with them after a trip to the historic landmark, so it was only right that the iconic birds that have made the Tower their home featured on one of the four commemorative coins. To accompany the unique coin design and to bring the story to life, the team worked with The Tower of London to create some stunning imagery of the Raven Masters with the coin at The Tower. And the results were, quite frankly, epic. Print coverage in nationals such as I and Metro were accompanied by online hits on titles including Evening Standard, Daily Mirror and Mail Online. And to top it off, the team secured an incredible 128 pieces of regional online coverage, with many more in print too. A great way to round off the year!